Masterpieces of Old Japanese Color Prints - This is a lovely old reprint from the "Masterpieces of Old Japanese Color Prints" series published by the Nippon Gasui-sha around 1923 - 1925. 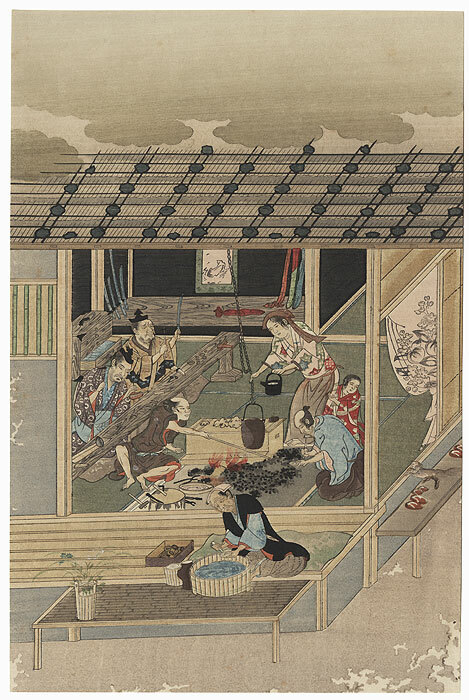 Sold by subscription, the publisher issued three new woodblock prints each month. 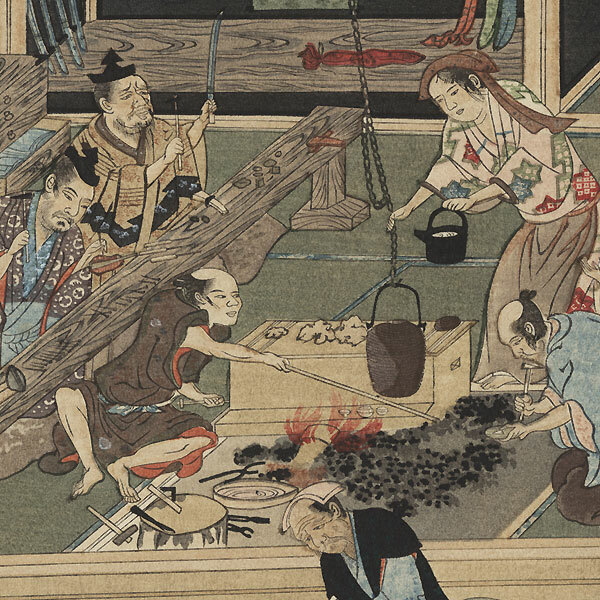 The subjects in this series range from designs by Mitsuoki Tosa and painters from the famous late 15th century Kano school to ukiyo-e masters Hiroshige and Utamaro. A few designs are by Chinese artists. A wonderful opportunity to collect some rarely seen and beautiful images by these Japanese masters. Image Size - 11 7/8" x 7 5/8"
Condition - This print with excellent color and detail as shown. 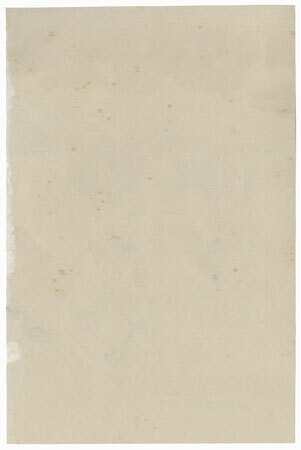 Slight paper remnants on reverse at side from original publisher mounting. Please see photos for details. Slight toning. Generally in nice condition overall.